In today’s day and age, where mothers and fathers are often both pursuing lucrative careers to provide for their family, day care is becoming a more reliable option. However, people may not always know that there are options for even their infants, or babies that are aged between two months and one year. Infant day care is an option here in Lake Worth, as Kidstown Learning Center has been providing assistance for families with young children for many years. Our staff is trained, certified, and experienced in dealing with infants, and it is our belief that your infant should be nurtured, cared for, and looked after in a warm and clean environment even when mom and dad can’t be there. 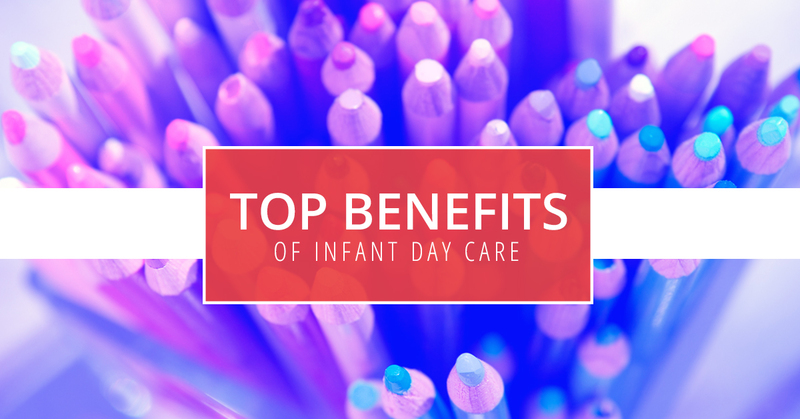 So, what are the benefits of infant day care? Keep reading to learn more and contact Kidstown Learning Center to take a tour of our Lake Worth facility today. First of all, you don’t have to worry about your child being neglected while at infant day care. That’s because the low staff-to-child ratio at most infant day care facilities allows for customized, one-on-one attention for your baby. Your child will be held, cuddled, and rocked in their own individual crib, allowing them to grow and thrive in a home-like environment. Our caregivers at Kidstown Learning Center are even First Aid and CPR certified, and will provide you with a daily report on your child’s naps, eating, drinking, and diaper changing. Infant day care is not some dark, damp, cold place where babies are crying all day long. In fact, it’s the complete opposite. Your baby will be placed in a warm, attentive environment with steady airflow, natural lighting, and even their own toys to play with. Really, it’s just as comfortable and as cozy as home should be for them. There have been studies which have shown that infant day care can help promote and active, vast vocabulary in children because of their exposure to conversation. Our teachers believe in a communicative, interactive environment, which may have a positive impact on your infant’s ability to learn and communicate throughout their developmental years. Infant day care is a great way for your child to be exposed to other babies and adults at a young age. That can help with their social development, allowing them to learn how to interact and how to behave even before they’ve learned to take their first steps. Kidstown Learning Center’s infant day care program truly is your child’s place to learn and grow. We want to help care for your child for those moments when you can’t be there, and we have the experienced, expert teachers and caretakers to help guide them through the process. If you’re looking for a reliable infant day care in Lake Worth, contact Kidstown Learning Center to schedule your tour.